The London Russian choir promotes a wide range of music from Russia. Original arrangements by the choir leader include traditional lyrical and epic songs, ritual calendar music for pagan holidays, wedding songs, dance songs and and other folklore. Another part of the repertoire represents much loved by native Russians Art Songs (Romances) from the 18-19 centuries, as well as more known pieces by Bortnyansky, Stravinsky, Tchaikovsky and other classics. We perform several times a year at various festivals and events as well as present our own concerts. The London Russian Choir was formed in April 2013 . The group now brings together over 30 music lovers of various ages and cultural backgrounds. Most choir members do not speak Russian but a lot of attention is paid to cultural context, history, language and stylistic features of the music. Join any time. Open to all. 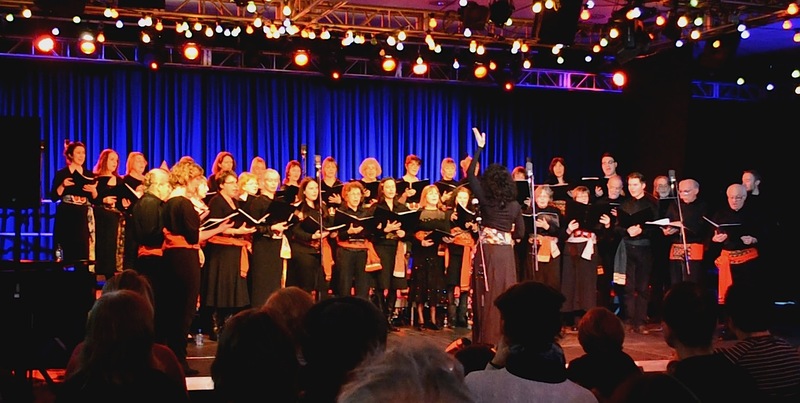 The choir welcomes all music lovers – no experience of choir singing or Russian speaking required.